The increased prevalence of atopic diseases, atopic dermatitis, allergic rhinitis, and asthma has been described as an epidemic. New approaches in the fight against allergic diseases are called for, the target being the persistence of the atopic T helper 2-skewed immune responder pattern beyond infancy. Atopic dermatitis, the earliest of these conditions, might act as a portal for the development of IgE-mediated atopic manifestations. Abundant evidence implies that specific strains selected from the healthy gut microbiota exhibit powerful antipathogenic and antiinflammatory capabilities, and several targets for the probiotic approach have emerged in atopic dermatitis: degradation/structural modification of enteral antigens, normalization of the properties of aberrant indigenous microbiota and of gut barrier functions, regulation of the secretion of inflammatory mediators, and promotion of the development of the immune system. 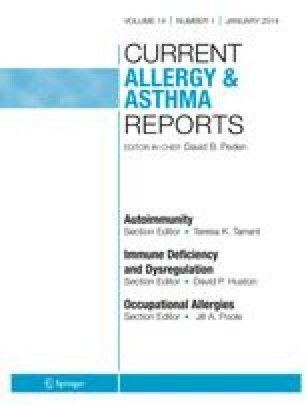 Better understanding of the effects of different probiotic strains and deeper insight into the mechanisms of the heterogeneous manifestations of atopic disease are needed for the validation of specific strains carrying anti-allergic potential.